The EASY ROOF structure is based on a revolutionary principle. Assemble the kit just like a LEGO toy. 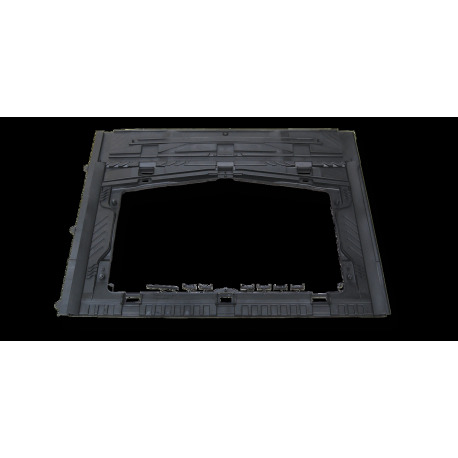 The sets are made of reinforced plastic, similar to the one used for vehicle bumpers. The different parts and components fit together seamlessly. The modules are not fixed on the tray but on the mounting system itself, which is then fixed on the frame (mold uncompressed). Choose EASY ROOF if you want a perfect fit between your solar panels - and your roof tiles. Roof Easy system is the solution as it fixed perfectly onto every roof. Quick installation, lightweight and reliable. Transportation is easy (max 2.5 kg), the product is very compact. It does not require any cutting, protecting you from possible assembly errors. Everything is the right size. You can change each solar module independently of one another. EASY ROOF adapts to every roof, even deformed ones. After numerous tests and mechanical aging tests, EASY ROOF has proven to be resistant to UV rays, hail, rust, heat, snow and storms.